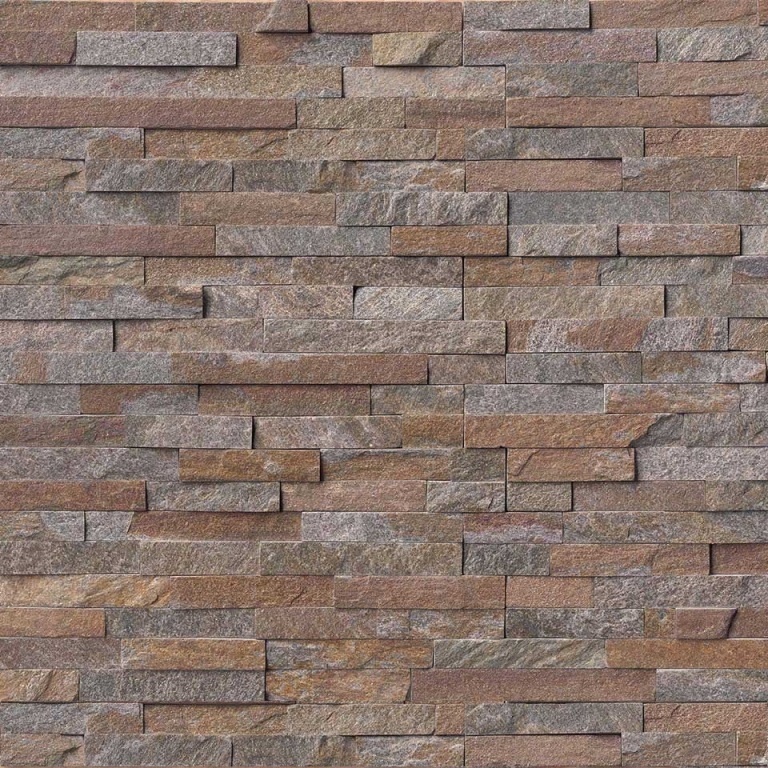 Amber Falls Ledger Panel 6x24 Split Face / SOLD BY BOX OF 6 SQ FT.
Amber Falls 6x24 Inch quartzite ledger panels colored in grey, copper and rust provide a striking appearance to your landscape design. Mica is visible throughout the stone allowing it to glitter in the light. The panels can be used in a variety of applications from indoor to outdoor. Accent a kitchen backsplash, fireplace, outdoor barbecue or planter wall with these amazing ledger panels. Item was ordered with ease and all was great throughout the process. Worked as described; however, there was a slight discoloration with the stone. This is not the manufacturer's fault as no one stone will ever be the same as I have worked with this and a variety of other natural stone. Great shopping experience overall will purchase from them again.